Azgar is walking to sell his collected materials from Anandabazar dump yard in Chittagong. 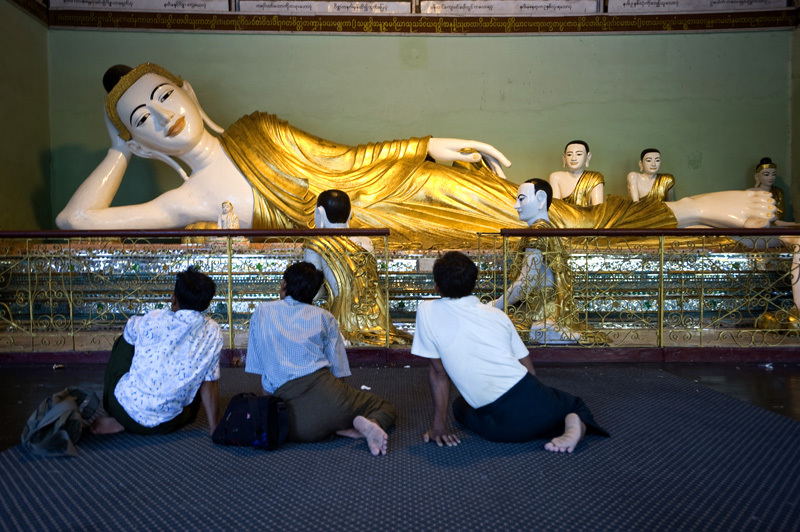 The Buddhism in Myanmar is of the variety Therevada, also practiced in Thailand, where the individuals are responsible only for their own salvation. 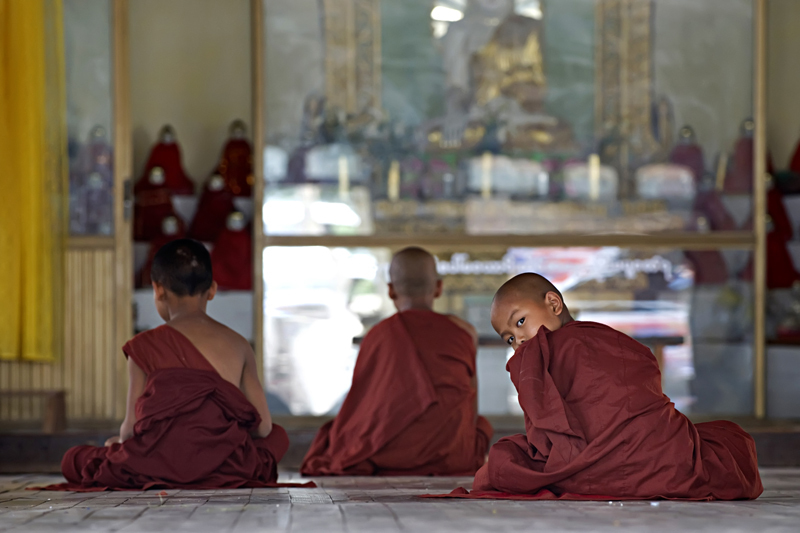 The majority of the men interrupt their secular life to obtain a positive karma on spending some years as monks as people do in Thailand. 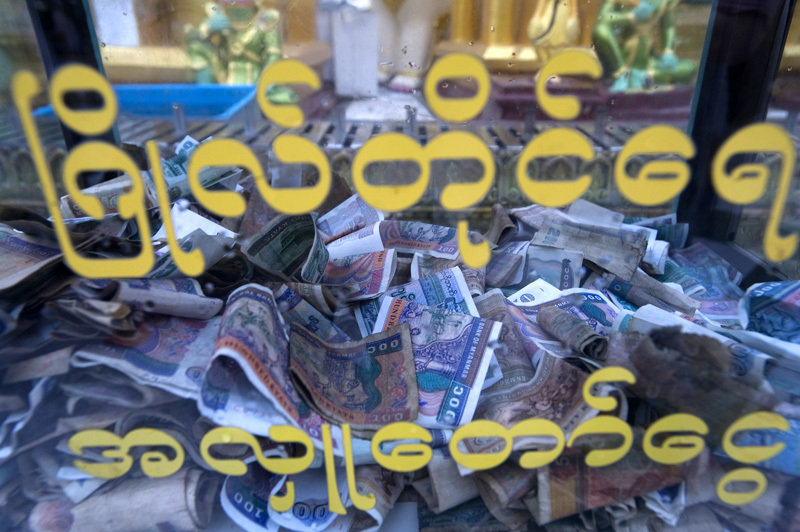 The positive karma also can be obtained by giving generous donations to the groups of temples. 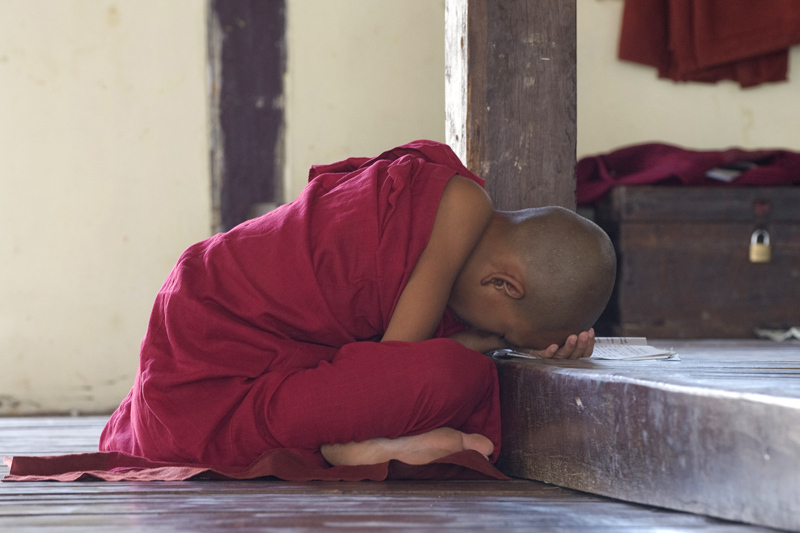 In consequence, there are many temples are well supported or endowed in this so poor a country. 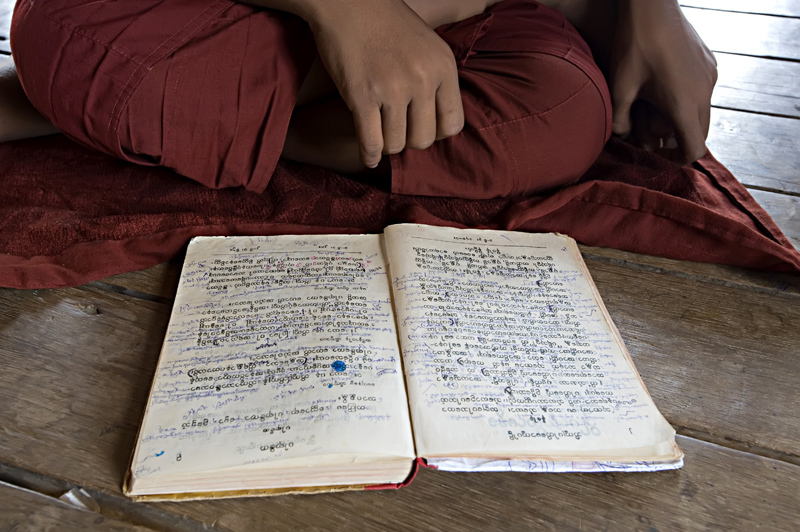 In Myanmar the monks are numerous and respected by the country's population. 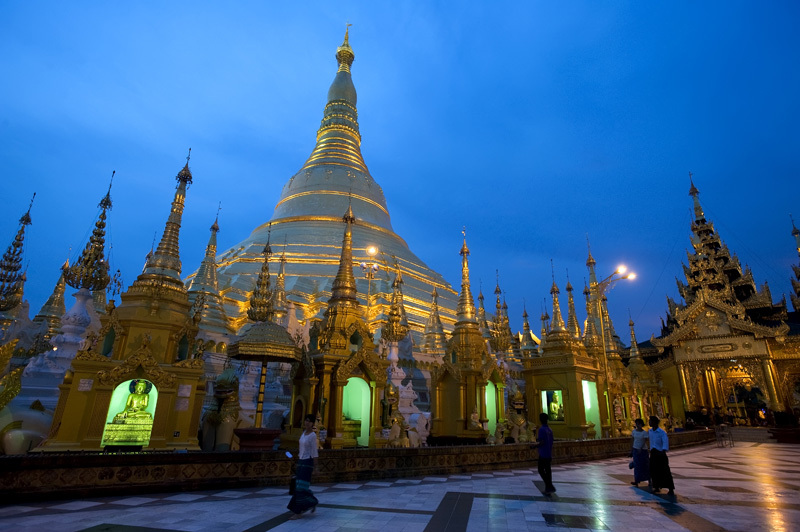 Shwedagon pagoda in Yangon is one of the world great religious monuments, a veritable jewel, visited daily by hundreds of pilgrims, monks and tourists.